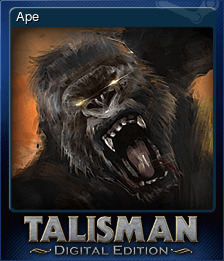 Talisman: Digital Edition | Steam | Opium Pulses - Cheap Prices, Great Service. As the Prophetess, replace any Adventure Card. As the Druid, change your alignment. Roll a 6 when confronted by the Reaper. Get yourself killed whilst someone is on the Crown of Command. Escape from the Temple on the first try. Earn the Winner! reward 5 times. As the Elf, move between two Woods spaces. Use the Treasure Chest (Frostmarch) to draw an Object. Win a game without using fate. Earn the PvP Master reward 5 times. As the Monk, increase your Pray score. Use the Magpie to find an Object quicker than usual. Earn the Trophy Master reward 10 times. Defeat the Trickster and have him steal an Object for you. Alchemise 8 objects in one game. As the Swashbuckler, defeat a creature in order to take another turn. As the Sorceress, beguile another character. 'Accidentally' cause the Tumbling Boulder to land on another character. Earn the Pied Piper reward 10 times. As the Martyr, win a battle by sacrificing a life. I Go Where I Please! Prevent someone from immobilising you. Earn the Big Spender reward 10 times. Prevent the same person from casting spells 3 times in one game. Earn the Battle Master reward 20 times. Use the Dragon's Eye to capture and use a Dragon in battle. Earn the Strongest reward 20 times. Force another character to roll on the Werewolf's chart by beating them in combat. Defeat one of the Noble Ifrits. In one game be Lightbound, Darkbound, Unbound and Fateless. Earn the Spirit Destroyer reward 20 times. Earn the Most Intelligent reward 20 times. Move to the Plain of Peril after defeating the Lord of the Pit. Give another character some of your Gold. As the Dark Cultist, take a life from a character of Good Alignment. Earn the Fate Weaver reward 5 times. As the Ninja, defeat an Enemy on the City space. What Else do You Have Back There? As the Warlock, take a card from the Purchase deck as a quest reward. As the Courtesan, seduce another character. Prevent someone from casting Divination. As the Gladiator, use 3 trained Followers in a single battle. As the Alchemist, alchemise 20 pieces of Gold. As the Valkyrie, pray at the Graveyard with Good Alignment. Cause the City or Temple to go up in flames. Use a card effect to burn another player's Card. As the Necromancer, use an enthralled Spirit in psychic combat. As the Priest, destroy a Ghost. As the Apprentice Mage, raise your total Craft to 7 or more. Repair a broken sword or armour at the Armoury. Earn the Revenge! reward 10 times. Kill 5 characters with the assistance of the Reaper. As the Philosopher, replace 5 cards from the board. Earn the Spell Master reward 10 times. Take a sleeping dragon as a trophy. Placate the Scavenging Beasts by relinquishing a trophy to them. Have the Flail and Full Plate. Encounter Growing Suspicions with a lycanthrope in the game. As the Shape Shifter, take the shape of another character. As the Gypsy, use your power of foretelling to avoid 10 Events. As the Merchant, swap an Object for a Magic Object. As the Gambler, tempt fate with another character and win. Earn the Poltergeist Exorcist reward 10 times. Teleport 3 times in 1 turn. Gain a Destiny Card whilst at the Meeting with Destiny space. Defeat an enemy with Rat in its name in the Rat Queen’s Lair. As the Devil's Minion, acquire the Runesword. As the Leprechaun, stockpile more than 30 Gold. As the Exorcist, destroy an unusable Object in order to gain a Spell. As the Vampiress, relinquish one or more of your followers to the Vampire at the Vampires Tower. Receive 5 or more gold from Generosity. Pay the Assassin to take all of a character’s lives. Give your scales to the Martial Artist in exchange for some training. As the Elementalist, automatically defeat an enemy Elemental. As the Dervish, move 5 or more spaces after defeating an enemy. Use the stones of time to change the Omen. Earn the Hag Deliverer reward 10 times. As the Knight, slay the Miser Dragon. As the Rogue, take all the Gold from a character that currently has 5 or more. As the Black Witch, successfully resist 3 Spells in a single game. Defeat the Two Headed Dragon. As the Grave Robber, draw an object from the top of the discard pile. 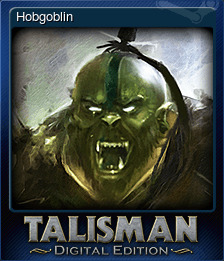 As the Ogre Chieftain, send a dominated Ogre into battle. Survive the effect of the Transformed and return to your original character. As the Chivalric Knight, assist a character with more strength than you in a battle. As the Sage, win the game without ever consulting the decks. Take the last life of every player in a 6 player game (in combat). 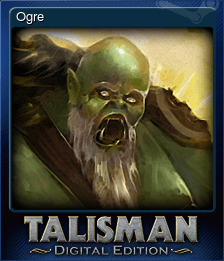 As the Doomsayer, in one turn, replenish one fate and gain one spell as a result of any player drawing cards. Defeat a Spirit enemy in the Wraith Lord’s Domain. Make two Dragons from the same Dragon deck fight to the death. Take no damage when ending your turn on a space with Fireland tokens. Win the game before the Dead Rise. Win the game with the Thieves' Guild ending. As the Pirate, sell the Pedlar on the black market. As the Cat Burglar, Burgle the most expensive item from a shop. As the Highlander, kill another Highlander character. As the Conjurer, move a place using your ability. Part ways with the Old Man of the Sea at the Tavern. Win the game before the World Shatters. As the Sprite, have the Pixie and encounter a Fairy. Use Restore the World to remove a Terrain card and a Fireland token from a space. Win the game before the Armageddon. Take a Treasure card from the Throne Room after defeating the Wraith Lord. Win the game before the Stars Align. Eliminate all other characters with Pandora's Box and win the game. Solve the Sphinx of Khayu’s riddle. As the Genie, rescue the Genie (Follower) from another character after defeating them. As the Martial Artist, hit someone with a crippling blow when unarmed. Trick the Dungeon Keeper into taking your Hag. 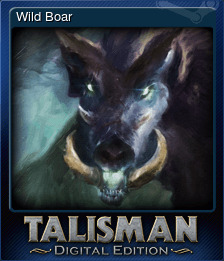 Remove your lycanthropy status using Wolfsbane. As the Warlord, conscript another character's follower. Defeat the Dragon King in combat. Defeat a Polymorph or Changeling. Claim 15 gold in bounties in a single game. As the Tavern Maid, pour a drink to more than one character on the same space. Finish the game with the Challenge for the Crown alternate ending. As the Magus, use 3 indoctrinated followers in a single psychic combat. Win the game with the Lightbearers ending. Win the game with the Merchants' Guild ending. Win the game with the Assassins' Guild ending. Meet with a terrible fate. As the Jin Blooded, bind a Spell and use it against the original caster. Win the game with the Spreading Flames ending. Win the game with A Hero Rises ending. With the Judgement Day ending, have two or more players win the game. Encounter Judgement Day and win the game through being judged worthy. Win the game with the Sacred Pool ending. Encounter the Toad King whilst you are a Toad. As the Jester, successfully confuse a creature with Strength or Craft 7 or more. As the Ascendant Divine, exhaust all of your Divine Gifts. Win the game with The Hunt ending. As the Tinkerer, defeat a Construct and take it as a trophy. Give all your gold to one of your allies. Pass on the Crown of Flame to another character. Defeat the Rat Queen and Wraith Lord in the same game. Defeat the Skeleton King with 3 or more trophies. Gain 3 or more Spells from the Riddle Stone. When playing with the Dragon King ending, remove the last life off the Dragon King. When playing with the Dragon Slayers ending, take 5 or more scales from Draconic Lords. As the Saracen, recruit a follower. Win the game by defeating the Blood Moon Werewolf. As the Cleric, save a follower from death. Win the game as a lycanthrope with the Blood Moon Werewolf ending. As the Vampire Hunter, find the Wooden Stake. Survive the contents of Pandora's Box and win the game. As the Spy, shadow a character in order to encounter another. Use the Wooden Stake against the Vampire Prince. Use a Wrathborn Wand to defeat a Wrathborn Cultist. Win the game with the War of Seasons ending in play by being the first to defeat Oberon or Titania. As the Ancient Oak, have 5 Growth tokens on your character card. Drink five potions in the same turn. Win the game with the Sacred Pool ending with 8 Quest Rewards. As the Dread Knight, defeat the Fel Steed. As the Barbarian, successfully protect yourself from psychic combat. As the Mutant, successfully mutate 3 turns in a row. As the Nomad, encounter the same space as last turn after a Terrain card has been placed on it. As the Goblin Shaman, use a spellbound Goblin to prevent the loss of a life. As the Dragon Priestess, have a cultist from each Dragon deck as followers at the same time. As the Illusionist, get a wish from a stranger by successfully obscuring your alignment. As the Fire Wizard, destroy a Dragon that has a breath attack with your fireblast. As the Bounty Hunter, gain 6 gold from a character bounty. 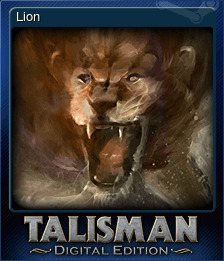 As the Shaman, take all 3 animal forms in a single game. As the Witch Doctor, successfully curse another Witch Doctor. When playing with the Domain of Dragons ending, defeat the Exalted Dragon on the Dragon Tower. Using the Eternal Crown ending, win the game whilst stood on the the Crown of Command. Using the Lands of Wonder ending, make two successful rolls in one turn. As the Dragon Hunter, trade in a trophy from each Dragon deck at the same time. Use the Spiteful Imp to teleport to the Crown of Command. As the Minotaur, successfully navigate the Maze. 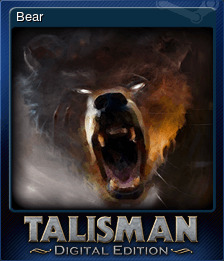 As the Totem Warrior, take a Totem Spirit token from a Totem Bear. As the Possessed, amass 10 lives. As the Leywalker, travel by Portal tokens on 3 consecutive turns. Defeat two Dragons with two Holy Lances at the same time. With the Judged by Fate ending in play, be the last character still alive with no fate remaining. Have both the Trapsmith and the Skeleton Key in your inventory. Use Misfortune on a player rolling for Vindication. 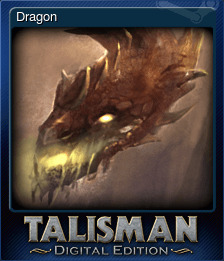 As the Dragon Rider with a captured Dragon, take the Dragon Eggs to the Warlock's Cave and trade them for a Talisman. Lose the Jinx to the Turncoat card. Use the Dream Singer to place a Sleep Token on the Slumbering Dragon. With the End of Days ending in play, win the game without any Heralds or Horsemen on the board. Win the game as a lycanthrope with the Lightbearers ending. As the Celestial, defeat an evil character in psychic combat and remove their fate. As the Scavenger, use your scavenging ability to take the Cataclysm Blade. As the Black Knight, encounter the Black Knight at the Castle and force another character to lose a life. As the Spider Queen have all of your Spider tokens Crawler side up. As the Arcane Scion, gain 5 Spells as a result of characters gaining Craft in one game. Using the Cult of the Damned ending, successfully defeat the Denizen horde. 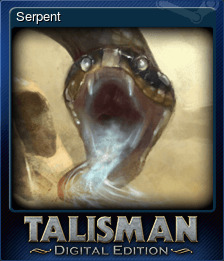 Using the One Talisman ending, have the One Talisman change hands over 10 times in one game. As the Scout, have all your Hidden Path tokens on Place cards. As the Woodsman, defeat a Wolf in the Woods. As the Samurai, defeat a Ninja in combat and take their Golden Statue. I win twice ... right? When playing with the Armageddon Crown, finish the game on the Crown of Command whilst holding the Apocrypha.